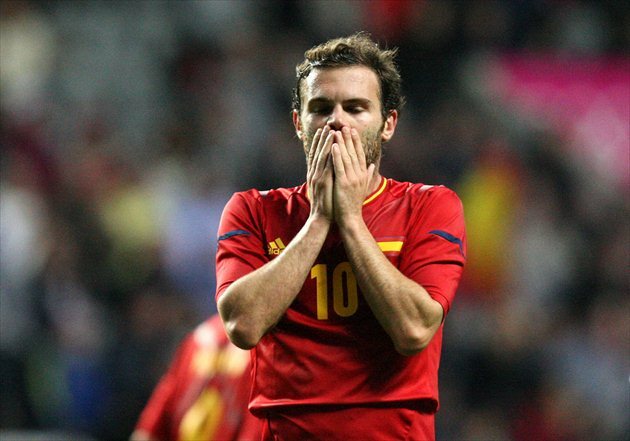 Spain, world champions and two-time defending European champions, crashed out of the London 2012 Olympics tournament today after a defeat against Honduras. This is a team that includes David De Gea (Manchester United), Jordi Alba and Christian Tello (Barcelona), and none other than Juan Mata (Chelsea). Unfortunately, this wasn't enough to beat either Honduras or Japan... really? Yes, really. Remember that this is the U-23 tournament with 3 over-age players per squad. From history in the past two decades, when it comes to junior tournaments, all bets are off. Nigeria, for example, won the 1996 tournament and played the final in 2008. Mexico has won the U20 and U17 in recent years. So why should the Olympics be any different? It doesn't end with Spain, however. As good as Mexico is, South Korea held them to 0-0 in the first match, and UAE played well against both Uruguay and Great Britain. But the biggest story so far in this tournament has to be the rise of Senegal. The quarterfinalists from the 2002 World Cup have made this their tournament by tying Great Britain and demolishing Uruguay. Their match against UAE should be further prove on how far they can go. That Spain is out of the tournament this early and Uruguay is looking vulnerable, basically opens the way for Brazil to win its first Olympic gold medal in the sport, one that they have never won before. It opens space for Mexico as well as Great Britain to obtain medals. The Concacaf side has been quite keen on this tournament given their recent form in other junior competitions. And Senegal? Why not.